I remember my first attempts at getting started with Git. It was way back in 2012 and I had just gotten my first "real" dev job. No one in my office was using Git at the time, but I had started hearing about it from developers I followed on Twitter. So, I decided to try it out, even though I didn't really know what it was for. I browsed some projects on Github and forked a few becuase.. why not? and after struggling for a whole weekend I finally created my first Github repo. I felt a mild sense of accomplishment, but I wasn't really sure what the point of it all was. First we would download the web files via FTP from the server. This is how we made sure we had the latest code. Then (and this was super important), we would create backups of any files we needed to change, that way, if we broke something and needed to restore a previous working version, the backup was on hand to save us. Once we finsished making our changes, we would get rid of the backups and upload the finished files to the server again via FTP. Sometimes this would get complicated if several people were working on the same project at the same time, but in those cases we were just extra careful about making backups and tried to communicate as much as possible to avoid overwriting each other's work. 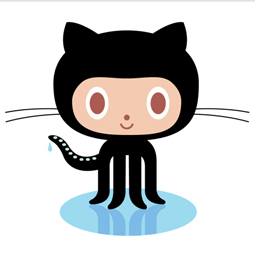 The Octocat is Github's cute cat-headed octopus mascot. The first thing you need to know about Git and Github, is that they are two different things. Git is the name of the technology that tracks changes to files in a given directory. It is what provides us with what we call 'version control'. Git can track changes to files in a project folder on your computer, or it can track changes to files on a remote server. With Git you can group a set of changes together in what is called a 'commit' and you can push those groups of changes to a remote repository, if you have one, so that other developers can see and download your changes. We will get into what else it can do in a little bit. Github is a company that hosts remote Git repositories. It provides a place for you store your code, so if something tragic were to happen to your computer, you don't risk losing important work. It also allows for code sharing and project collaboration with people all over the world. To put it simply, Git is a version control system, and Github hosts repositories that use Git. Also, repository is the term we use to refer to directories that are using Git to track file changes. Alright, now that we have some context for what Git is, and why we should use it, let's Git started! Terminal Command To Find What Version Of Git I Have Installed? This section contains stuff you should only ever have to do once after first installing Git. We are going to run through some commands you can run to tell Git a little about yourself so that it can relate your file changes to you! We will be applying these setting globally. You can also apply git config setting for individual repos. Pretty cool, huh? There are lots of other setting in Git that you can configure, but we will stick with these for now. Let's move on! The first thing we should do when starting any new web development project is set up a Git repo (short for repository) to store and track changes to our code. This command ads a .git directory which contains all of the files responsible for tracking your project with Git. Congratulations! You've just created a local Git repository!!! Now that your repo has been created, open your project folder in your favorite code editor. .gitignore - This is the file Git uses to know which files to ignore. When Git ignores a file or folder, it doesn't track it. Git will not include any changes to files or folders listed in .gitignore in your commits nor will it push them to your remote repository. These files will continue to exist in your local project only. README.md - This is the file that contains information about the rest of the files in your repo. It can give an overview of your project, instructions on how other developers can get it up and running, and other helpful information about your project. This is the file that Github renders on the front page of your repository, so its a good idea to make sure it is always up to date. Create a .gitignore file. We will leave it blank for now, but we may add files and folders to later as needed. Create a README.md file. The .md file extension means that this file is a Markdown file. Markdown uses a simple syntax to render formatted text like titles, bullets, links, etc... It also accepts valid HTML. Now that we've done some work, let's make sure we don't risk losing any of it. We will be using the git commit command to save a snapshot of our project at its current state. The -m flag stands for message and is followed by our commit message. Our commit message needs to be surrounded by quotes (""). Congrats! You just created your first commit!!! Now that we have commited our changes to our local repo, let's set up a remote repository on Github where we can safely store and share our code. 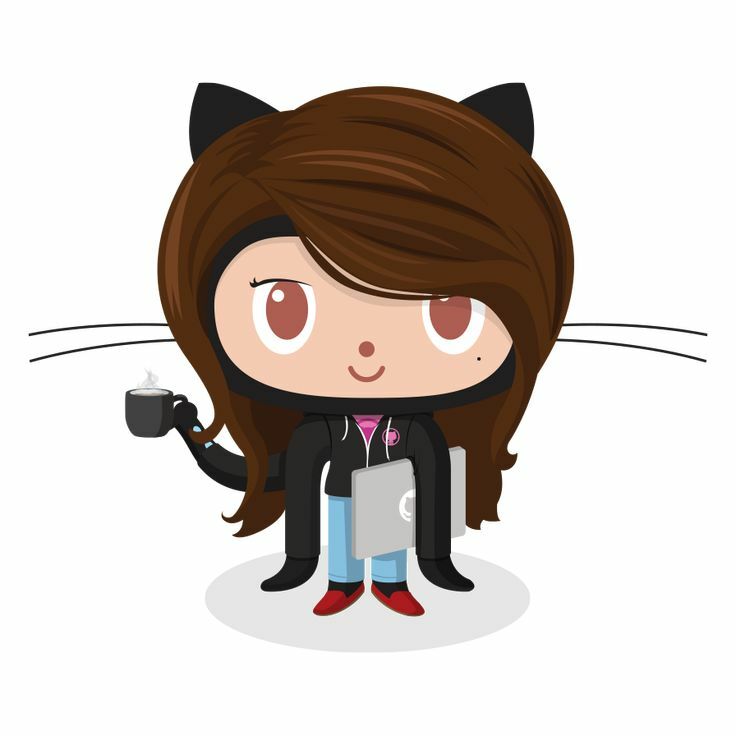 If you don't have a Github account, create one. Once you are logged in, navigate to the 'Repositories' tab on your profile and click the big green 'New' button. Then set the upstream branch so Git knows where to push our code. Note: You should only need to run that full command once. Next time you want to push your code to your remote repo's master branch, you can just run git push. Now go back to your remote repo page on Github and refresh. You should see your .gitignore and README.md files. Awesome job!!! If you run into any problems while running through this tutorial, leave a comment (coming soon!) and I'll be happy to help out as soon as I can! Happy coding!